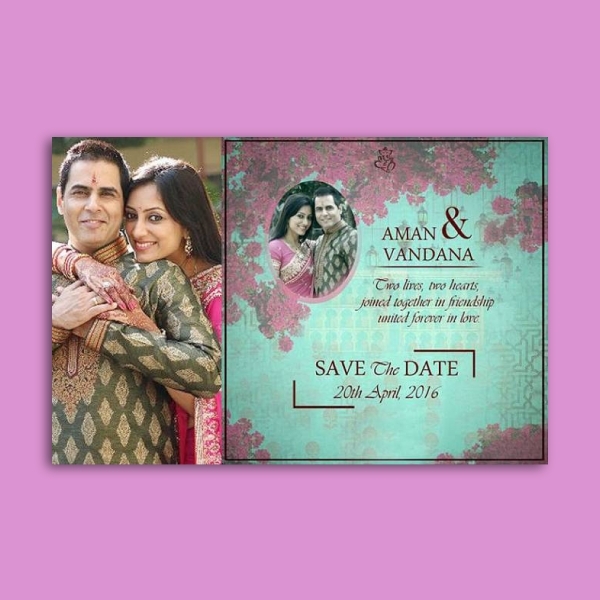 Extend your greetings to the married couple through your creative wedding cards. Because weddings are among the biggest milestone in one’s journey in life, most people make the most of this day to make it unforgettable and memorable. 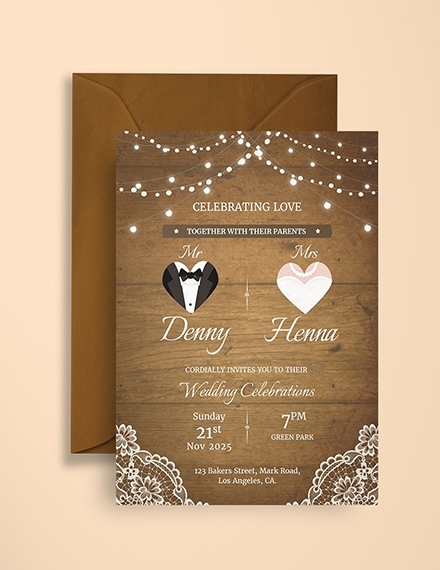 In sending wedding cards, this would mean that you are congratulating the couple, you are in full support to their new life of being together, and that you are wishing a fruitful and happy life for their future. Get inspired with these designs, examples, and templates! A wedding card must contain the following important elements. 1. 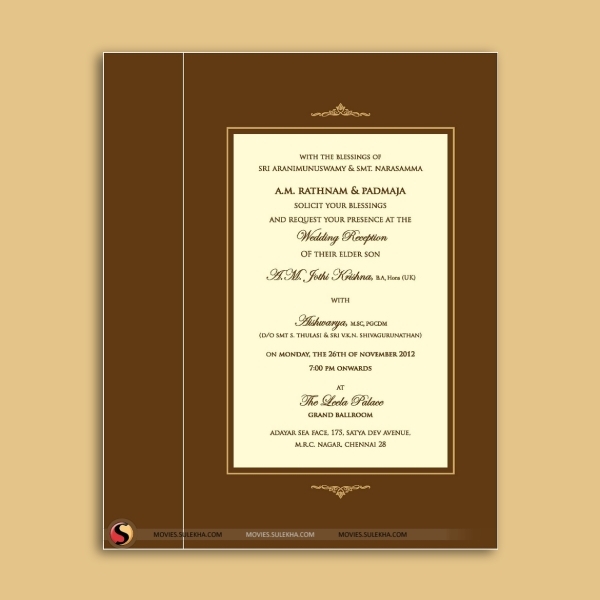 Front cover: For the front cover of a wedding card, you can include photos, texts, designs, and other embellishments. This is said to be the one that sets the whole mood of your card. 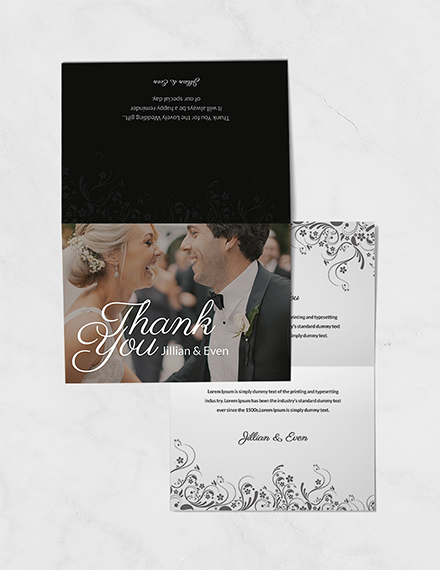 Since weddings are a day to celebrate another step and a major change in the life of a couple, show support and admiration to the couple by designing your cover in a way that it presents joy and love. 2. Inside content: This is the portion that is usually left blank for ready-made wedding cards. This is the section where you write your message to the couple. Additionally, you can also include photos and other designs that you think can be a good complement to your text. 3. 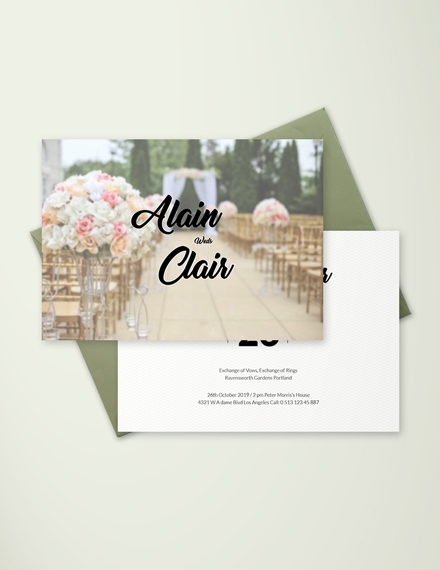 Additional inside panel: If you want to have more space for the text, there are wedding cards that contain additional or multiple panels inside the card. These panels can be of great help when you want to add more photos and you want to write longer message for the couple. 4. 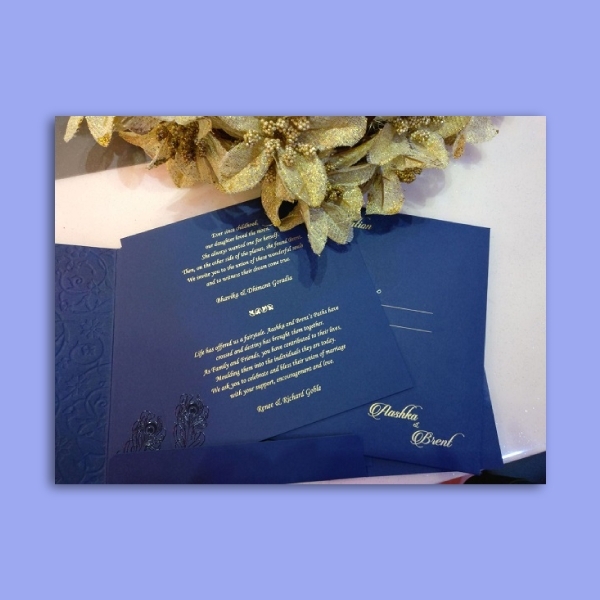 Additional inside pages: While there are wedding cards that provide additional panels, there are also some cards that contain additional inside pages which can also be useful when you want to write lengthy message for the couple. There are other designs in which the inside pages are created smaller than the back and front cover to give more emphasis on those pages. 5. Back cover: For DIY greeting cards, this portion is usually left blank, but you may choose to include your name, date, and personal stamp on that area. 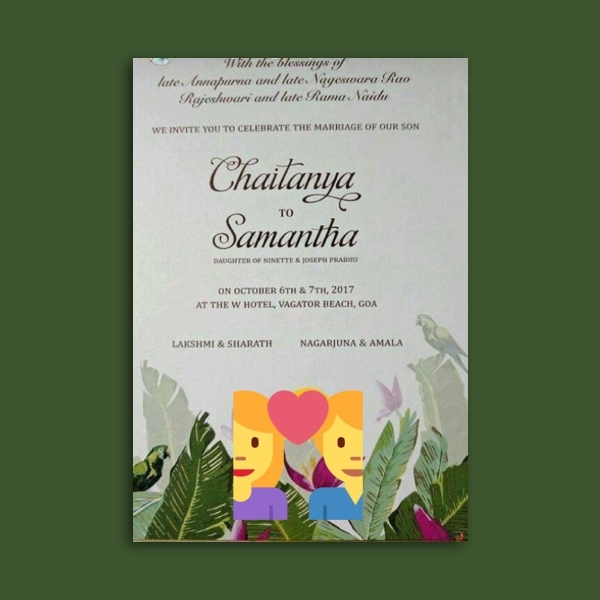 On the other hand, for commercial wedding cards, the usual contents on the back cover are the company name, logo design, copyright, barcode, and contact information of the manufacturer. 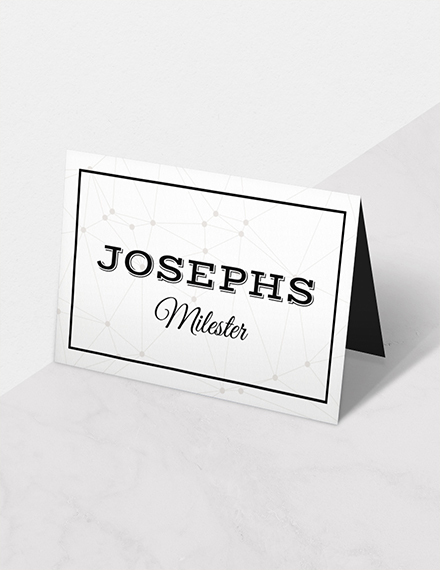 Although ready-made cards and card templates are life savers when you need the card right away, but when you have time to spare, it is much preferred to design your own card so that you can customize and design it as your own. Here are the simple steps in creating your own wedding card. 1. Choose a Format: The first thing that you must do is to decide what format you are going to make for your card. Commonly, the format used is bifold as it can easily be created and designed. You may also opt for multiple panels such as trifold or you may try creating a card that contains several pages. 2. 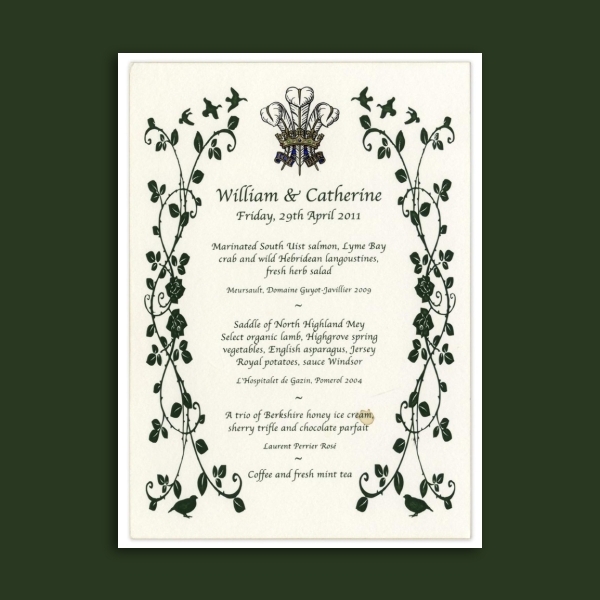 Decide on the Fonts: For wedding cards, it is acceptable to use cursive fonts. Just make sure that the font size is readable enough. If you prefer other fonts, see to it that you are using only one or two family types to avoid clutter in your text. 4. Work on the Designs and Decorations: This is the portion where you can unleash your creativity. Work on the front cover, then you can copy the design to the inside panel or pages to maintain consistency and uniformity of the design. You can incorporate patterns, swirls, or graphics on your design, but make sure that you leave enough space for your message. 6. Finalize and Seal It Inside an Envelope: Before putting it inside the envelope, check if you are contended with the design and proofread your message for a final check. When everything is done, look for an envelope a little larger than your card. Finally, seal your card inside the envelope. 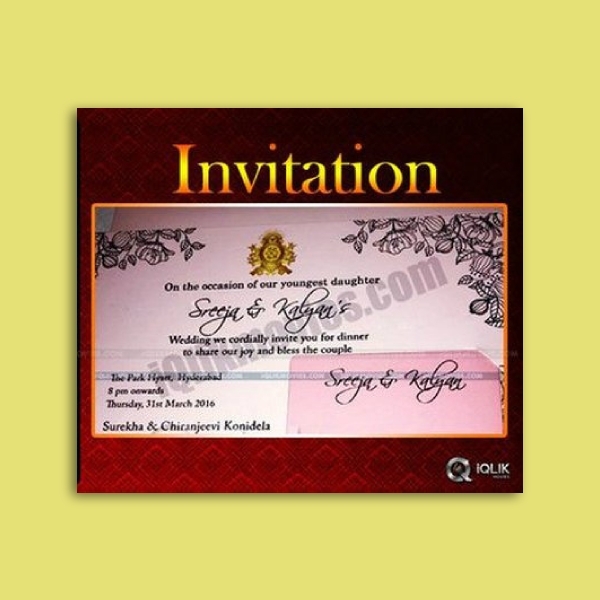 According to the folds and designs, wedding cards can be categorized into the following types. 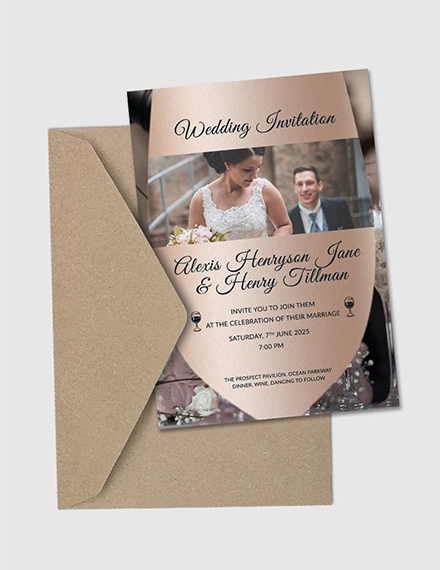 Basic fold wedding card: As the name itself suggests, this is the basic fold of a card where a piece of paper stock is being folded into half, resulting in a rectangular-shaped card with both panels of equal size. Square fold wedding card: Closely similar to the basic fold wedding card, this type of card is made by folding a paper stock into half. 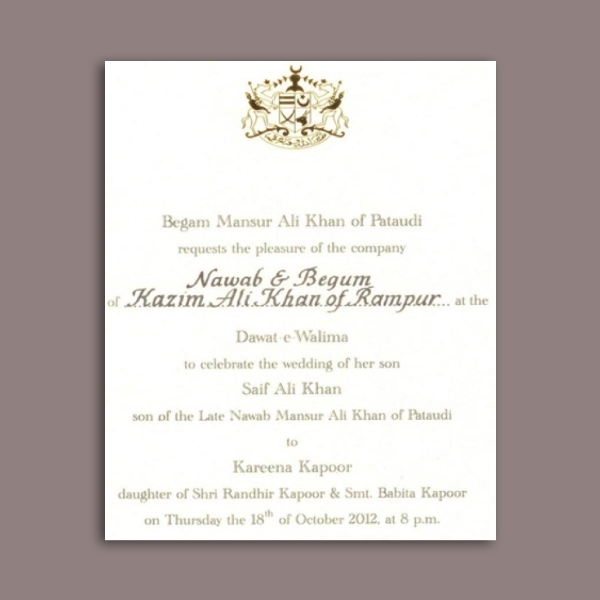 The difference is that in square fold wedding card, the resulting shape of the card is a square shape. The two panels of the card are also of equal size so they can be folded neatly together.You may also see handmade card examples. 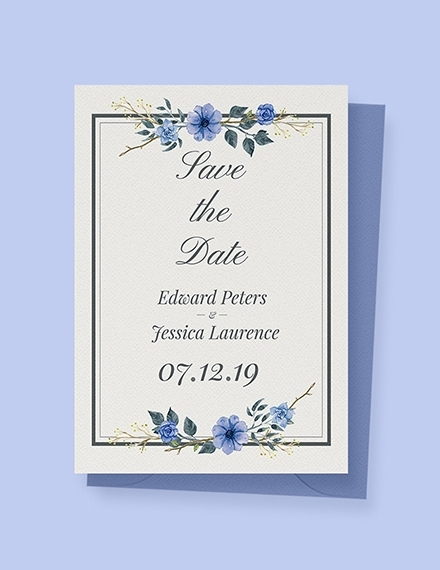 Gate fold wedding card: Similar to the mechanism of a gate that parts in the middle when opened, this gate fold wedding card is folded in a manner that the two ends of the paper create a flap that meets at the center. Another variation to this type of card is that instead of the flaps meeting at the center, the other flap is folded shorter than the other one so their meeting point would be inclined to the left or right side of the paper. 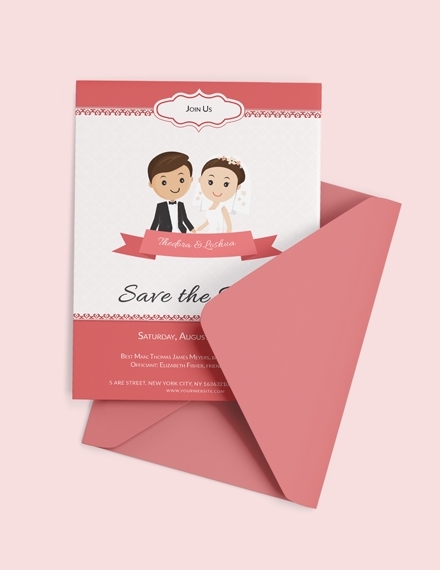 Trifold wedding card: If you want to write lengthy message, you may opt for a trifold wedding card, where three panels are created by folding the paper into three, forming three identical panels. Aperture wedding card: This card is folded similar to the trifold card where an aperture hole is created in the central panel and the left panel is folded and stuck down to form the back of the hole. When opened, this is similar to the basic fold card.You may also see fall greeting cards. Accordion wedding card: Like an accordion, the card is folded three times to create four panels with same size. 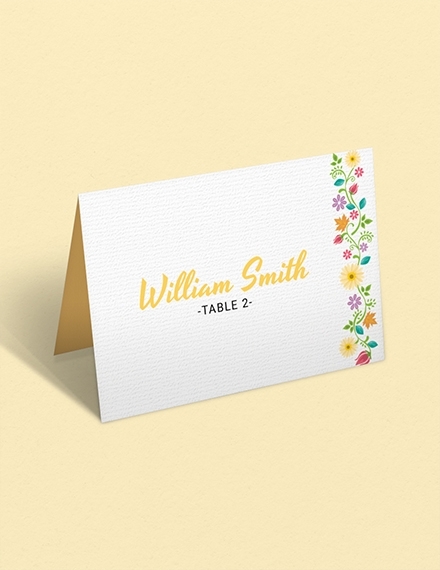 This is perfect if you have lots of texts and images you want to include in your card. Rocker wedding card: The purpose of a rocker wedding card is for the card to rock when it is touched. It must be designed correctly in order for it to work. The tricky part is to cut a curve at the bottom and make sure that it is even. Pop-up wedding card: Pop-up cards are designed in a way that when the card is opened, images or designs will pop up from the center. In order to achieve this, the design is stuck at the bottom of the tabs to neatly conceal them when the card is closed and reveal them when the card is opened. Cascade wedding card: These cards can be made using a single or two pieces of cards with two panels that interlock with slots. Similar to an accordion, they are slotted together and then folded flat for posting. Easel wedding card: The parts of this card consist of a front panel, a base panel, and a stand that will hold the card similar to an easel. Additional embellishments can be incorporated to enhance the design.You may also see blank greeting cards. 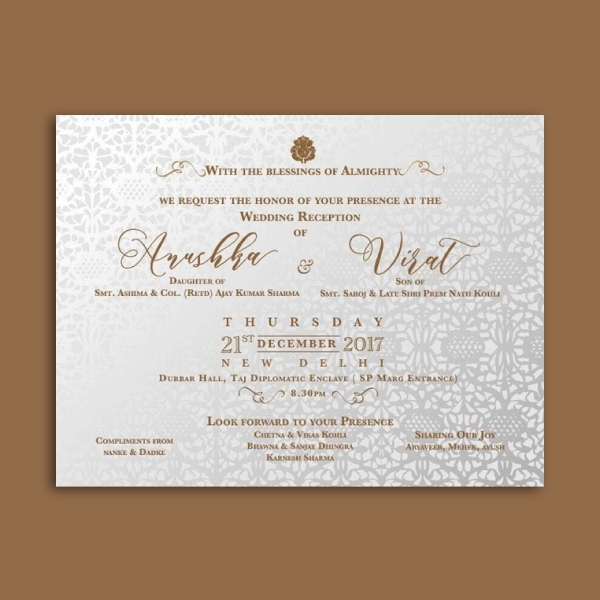 Shaker wedding card: Similar to an aperture card, this card is designed with a window in the front panel which holds a glitter or other embellishments that are sealed with acetate. When opened, the card is similar to the basic fold card only that it contains a shaker on the front cover of the card. Diorama wedding card: This card is made by piling up layers of sheets with designs in order to create a three-dimensional view of the design. A window design is usually created, and multi layers are created so that the design will have an incredible depth. 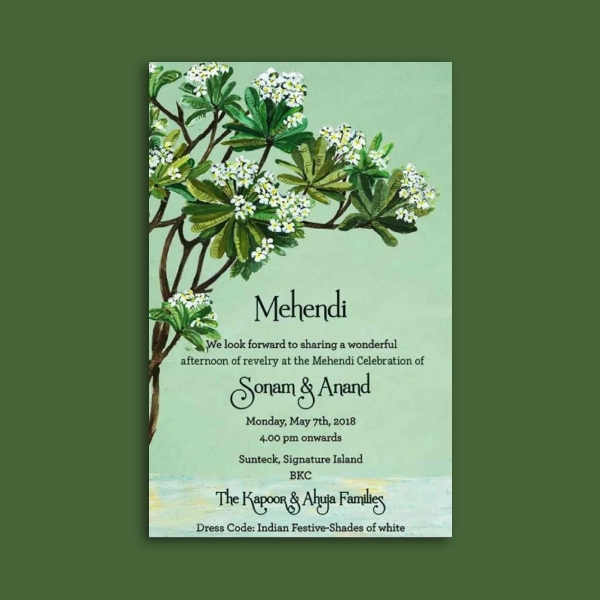 Spinner wedding card: The goal of this card is to showcase the spinner design on the top of the card in a manner that when the card is tilted to one side, the spinner will slide toward that way. To create this, a rectangular shape is cut out of a piece of a card, and a layer is added beneath the whole. A foam pad is then layered within the rectangular shape, with a spinner stuck on the topmost layer. Panorama wedding card: This is similar to an aperture card only that it is extremely complex because instead of cutting out only one window, several layers of card with several windows of different sizes and shapes are being cut to form three-dimensional designs. 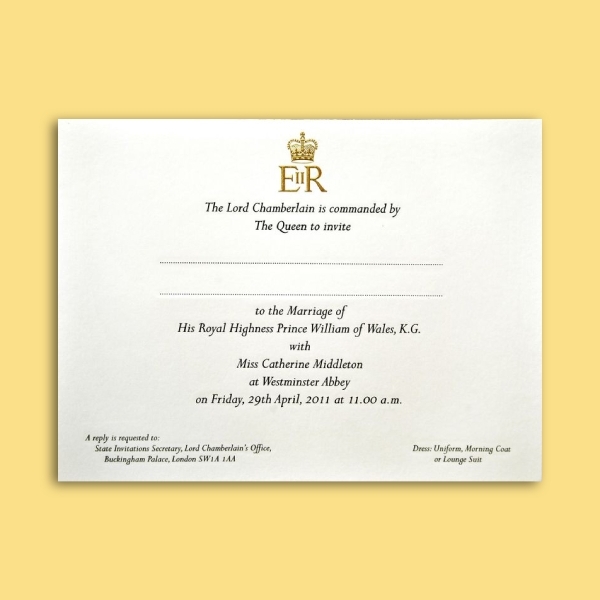 What is the purpose of a wedding card? A wedding card is undoubtedly sent to the married couple to congratulate them and express that you are happy for the both of them. It is also a way to wish them well in their new life of being together. 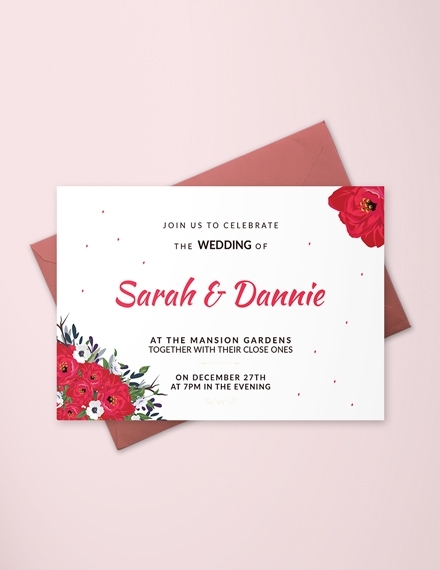 How can I create a wedding card? Following the simple steps presented above, you can easily create your own wedding card of your own design and decorations. 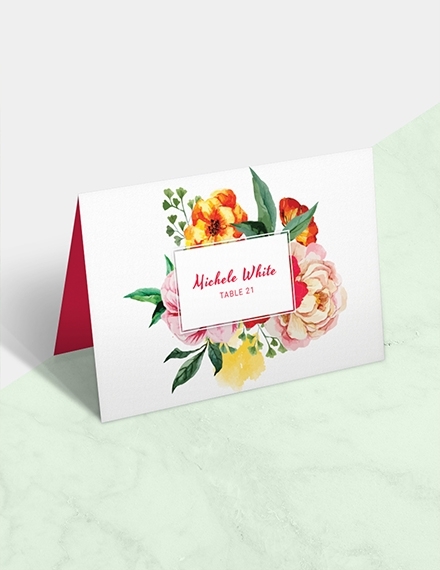 You may also buy the pre-designed wedding cards that are available in a lot of stores, and then make some enhancements to its design.